1. Way to sprout Matki - Wash and soak matki (moth beans) for 7-8 hrs in water. Keep it closed in a warm place or use a sprout maker to make sprouts. 2. Boil the Matki sprouts and Potatoes in cooker for 8-10 mins. 3. Heat oil in a Pan / Kadai and add mustard seeds, Hing, Jeera and curry leaves. Saute for half a minute. Add chopped onions and green chillies and fry until the onions turn golden brown. 4. Add Boiled Matki and Potatoes (Cut them in Cubes) and let them cood for 2 mins. 5. Add Turmeric powder, Red chili powder, Garam Masala and salt. Mix well. Pour a little water and close the lid and let it cook for few minutes so that salt and other spices are absorbed. 6. 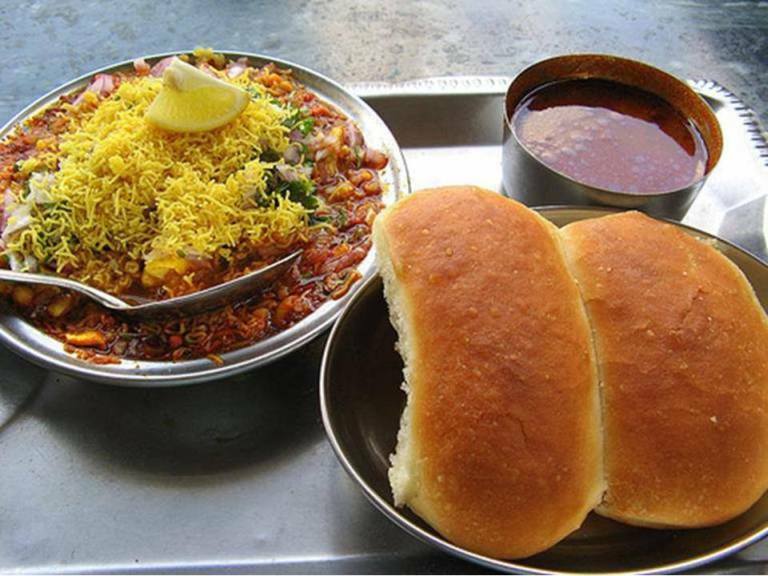 Your Matki Usal is ready. 1. Roast the dry coconut pieces. 2. Heat 1 tbsp Oil in a Kadai / Pan and add chopped Onions, Chopped Ginger and Garlic. Saute until they turn slight golden brown in color. 3. Add tomatoes and cook till it become mushy and let it cool completely. 4. Once cooled , Grind the mixture of coconut,onion and tomato to a very smooth paste. 5. Heat 2 tbsp oil in a Pan and add Mustard, Hing and the above paste and let it cook for a minute. 6. Add Coriander Powder, Cumin powder, Turmeric powder, Red Chilli powder , Salt and Sugar and mix well and cook for some time. 7. Add about 3 cups of water, Tamarind juice and Garam Masala powder. Boil well for about 5-10 mins. The consistency should be watery, so add more water if required. 8. Sprinkle with chopped coriander leaves and your Rassa is ready. In a Bowl, Add farsan and Usal and gently mix. Squeeze lemon and add chopped onion and coriander leaves and some farsan over it. In another small bowl take some Rassa. Serve hot with Pav and chopped onions and Lemon Wedges. Take some mixture and shape them up like fingers. Dip these fingers in Bread Crumbs completely. 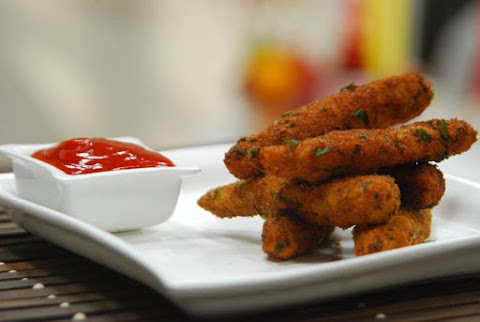 Deep fry these Veggie Fingers mixture till its colour changes to Golden Brown. Tip : To make it even more tasty you can added grated Cheese to the mixture.